Perhaps our most enchanting bouquet only available from our Luxury collections. The bouquet embraces sublime sorbet roses with flares of the freshest germini flowers hugged with the foliage alongside our delightful shamrock blooms. Our Lomond arrangement comes displayed with a custom Prestige Luxury Collection bag. 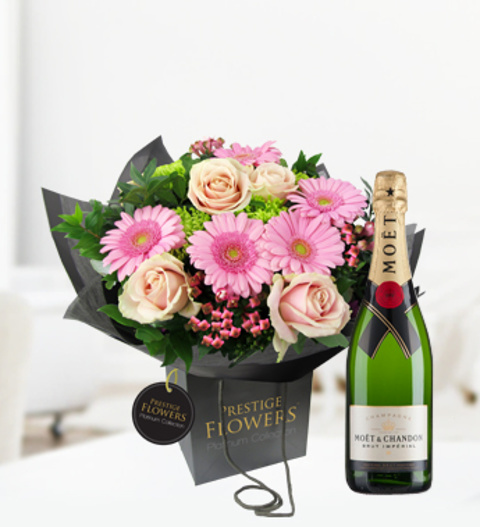 The bouquet is available for UK next day delivery.